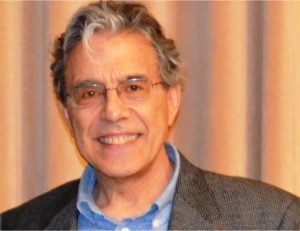 A retirement reception for Professor of Politics and Government Carlos Parodi will be from 3:30-5:30 p.m. Tuesday, April 24, in the Founders Suite of the Bone Student Center. The campus community is invited to recognize his 27-year service to Illinois State University. A strong supporter of the importance of creating globally aware students, Parodi led the Peru Study Abroad Program for more than 10 years, and earned the 2017 Internationalization Award from the Office of International Studies and Programs. An active scholar, he is the author of the book, The Politics of Latin American Boundaries and his latest work, a chapter titled “Post-Neoliberalism in Bolivia and Peru,” appears in the 2018 edition of the Handbook of Latin American Studies. For additional information, or for special accommodations, contact the Department of Politics and Government at (309) 438-8638.